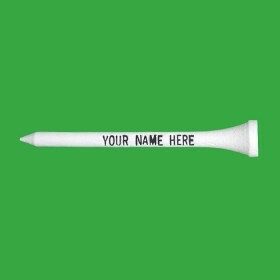 Personalized Golf Tees and Custom Logo Golf Balls are the perfect item for any golf tournament, corporate event or as a great personalized gift. Custom Made Golf Events is the premier company in Personalized Golf Tees, Custom Logo Golf Balls and Custom Poker Chip Golf Ball Markers. With over 40 years of experience in the golf industy, we are commited to helping you put together the perfect items for your golf outing, event or gift idea. Our personalized golf tees are available in both a strong birch wood or a plastic tee. We offer both 2 3/4" and 3 1'4" tees . You can customize your tees your logo or up to 3 lines of text in one or two colors. We also offer our polybag golf tee combinations which have a variety of tees, ball markers, divot fixers and poker chip ball markers. We also offer personalized golf tee gift sets as the perfect personalized gift. 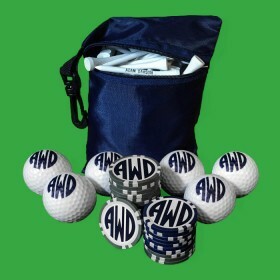 These sets include a variety of custom golf tees, custom logo golf balls and our poker chip golf ball markers. You can view our full collection of gift sets here. 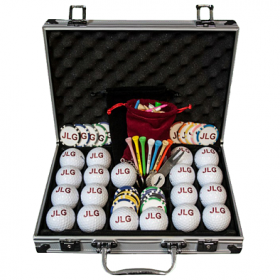 Our Custom Golf Balls with your logo, design or photo come in a variety of brands and options. 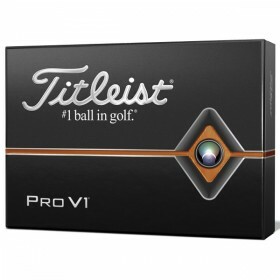 From our personalized golf balls where you can order as few as 6 balls to Callaway, Pinnacle, Titleist and other brands, we offer a wide array of custom golf balls for any golfer. 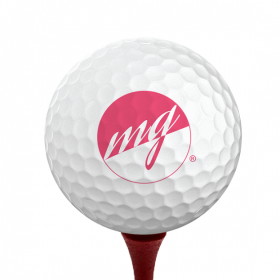 We also offer Logo Gofl Ball Tubes which are packed with a custom golf ball, golf tees and the option for our poker chip ball markers. You can view our full collection of logo golf balls here. Our Custom Poker Chip Golf Ball Markers are one of our most popular items. In recent years, these have become wildly popular on the golf course. We offer both a custom inlay poker chip ball marker which is done with a custom label and our premium direct print where we uv print in full color directly on the poker chips. We also offer a 3D option where we print a golf ball in the background that appears to have a slightly 3D effect with the golf ball raising out of the poker chip. You can view our full collection here. You can view our full collection of items at Custom Made Golf Events. Don't forget to check out our parner company at Custom Made Casino, the premier company in custom poker chips.